Free-spirited Clare Consuelo Sheridan (1885-1970) led a remarkable life. Sculptor, writer, and cousin and friend to Winston Churchill, she traveled extensively and wrote of her journeys. 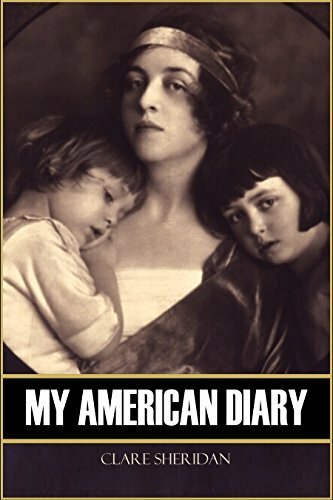 In 1921 she visited America and Mexico with her son…and what an adventure she had! She was a lover to Charlie Chaplin on this visit, and possibly had affairs with Russian revolutionaries she sculpted while in that country in 1920. She spoke favorably of Trotsky and Lenin and earned herself a file in the archives of her native Englandâ€™s MI-5 as an anti-British propagandist. AND Winston Churchill was a favorite cousin.